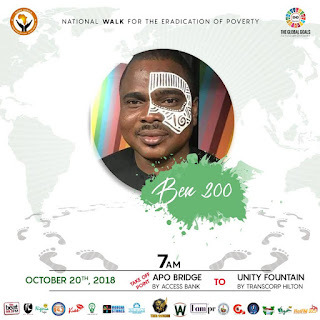 Nigeria has become the poverty capital of the world. We have overtaken India as the country with the most extreme poor people in the world having over 86.9 million Nigerians now living in extreme poverty and this represents over 50% of the estimated 180 million population. As Nigeria faces a major population boom, it will become the world's third largest country by 2050. Its poverty problem may likely worsen. 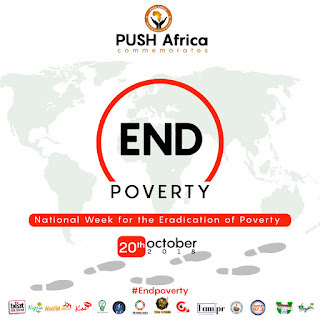 Consequently, the mission to end extreme poverty globally and particularly in Nigeria is already at risk. 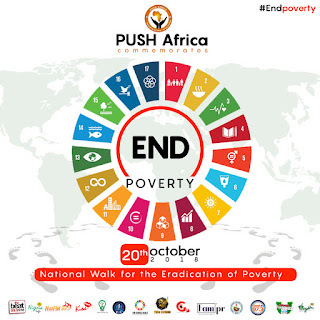 PUSH AFRICA's utmost concern is the way poverty hinders progress in every facet in our nation and continent and thus the call for government and ALL its citizens to make frantic efforts to change the paradigm for our dear country. 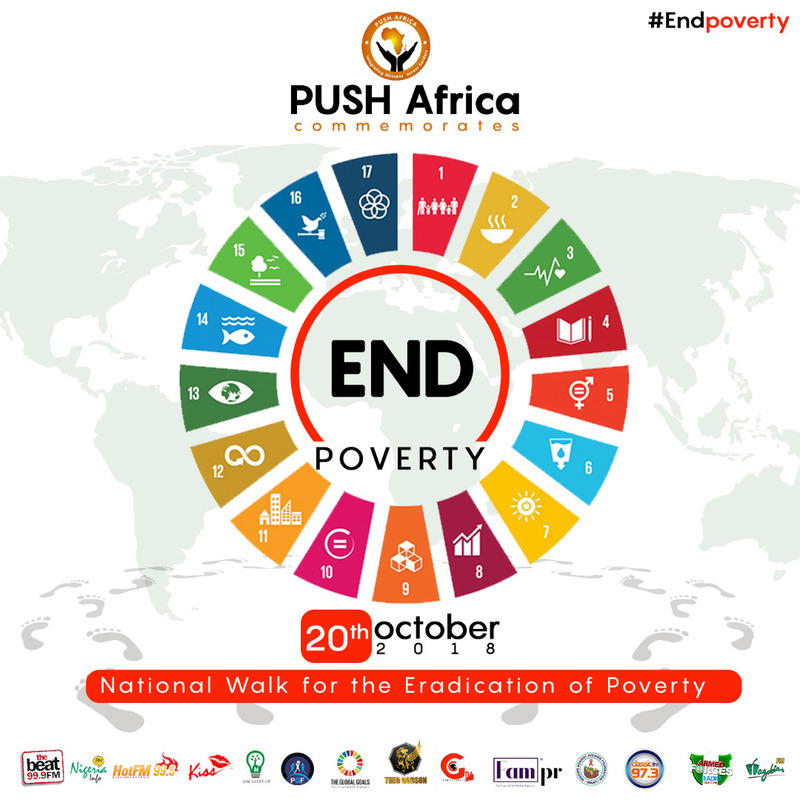 This weekend, PUSH AFRICA will be organizing a Walk in Abuja joining the rest of the world to mark the Global Poverty Eradication Day and we are requesting that all residents of Abuja should come our amass and join in the walk this Saturday, the 20th of October, 2018. The fight against poverty is not the government's responsibility alone but a conscious and collective efforts of the entire citizenry of a nation. Doris Dame Egberamen is the Founder of PUSH AFRICA is saying its possible to win this fight if we start taking action now! 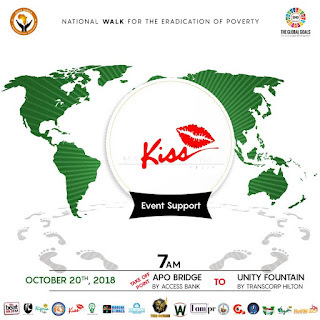 For partnership for this event and our other intervention programmes visit www.pushafrica.org or email: info@pushafrica.org or Call: 08033942015/08133944345.